Fishing Lessons in Cornwall - Learn to fish with expert tuition! 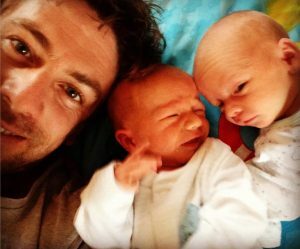 Our twins have arrived and I’ve got my hands full. Updates will appear here and on Twitter, Facebook and Instagram. 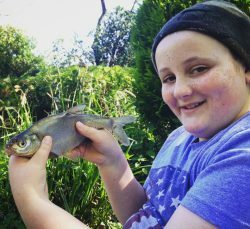 The 3-hour First Cast Taster is perfect for beginners of any age. You’ll learn the basic techniques of casting, baiting a hook, landing a fish and safely returning it to the water. For more experienced anglers, a 6-hour lesson refining your existing skills or chasing hard fighting Carp and Pike would be a great way of developing your angling. Meet Alex, the Coach at The School Of Fish. An Angling Trust qualified level 2 coach, a qualified teacher, an environmental science graduate and, fishing enthusiast. The School Of Fish offers freshwater fishing lessons in Cornwall for beginners and experienced anglers. All tackle and bait is provided as part of your lesson. We welcome lots of anglers young and old and everyone leaves with a smile. You might like to book a fishing lesson in Cornwall for yourself, with a friend, or as a gift for a freind, loved one, son or daughter. It’s perfect for that family member desperate to try fishing but you don’t know where to start. I’m a Level-2 1st4Sport Angling Coach (recognised by the Angling Trust) as well a qualified teacher and a graduate of Environmental Science. I will coach you through your lesson taking time to ensure you are learning safe and suitable techniques. Two years old and seemingly already a fan of fishing! A few memories of a job very well done! Samuel has now completed his Aim Award qualification, in ‘Angling & the Environment’. It has been a fantastic course, including environmental matters, biology, science, the water cycle, pollution, habitat management, fish species, conservation and more – plus some fantastic fishing skills….A massive Thank you to Dean Asplin and The Angling Trust who have sponsored Samuel to do the course and have backed his pathway into the Angling Industry. Also, a huge thank you to ‘The School of Fish’ coach, Alex Ledbrooke, who has not only coached and guided Samuel throughout the course, but who has given both Samuel and I, a deeper insight into the wonderful world of angling and the environment….Amazing! I attended the School of Fish course entitled “Get back into angling – predator fishing” last Saturday morning at Porth reservoir. I have to say that rarely has three hours passed so quickly and it is not often that I have found an instructor, in any field, so competent, succinct and amusing as Alex. The morning was a perfect balance of instruction and personal involvement and I am already arranging to attend further courses with my son in law, who was so enthused by my description on the mornings proceedings that he wishes to become involved. They had a fantastic day on the lake with Alex! I booked a carp fishing lesson for my partner and brother in laws, who all tell me they had a fantastic day on the lake with Alex! They went over to Newquay on Sunday and along with picking up new skills throughout the day, they had multiple catches between them. 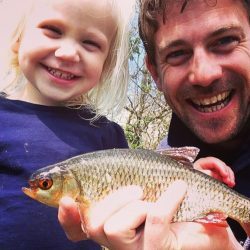 Alex is not only knowledgeable and passionate about what he does, but a super nice guy as well – we’ll be highly recommending to anyone looking to improve skills or take up fishing as a hobby! Thanks again!